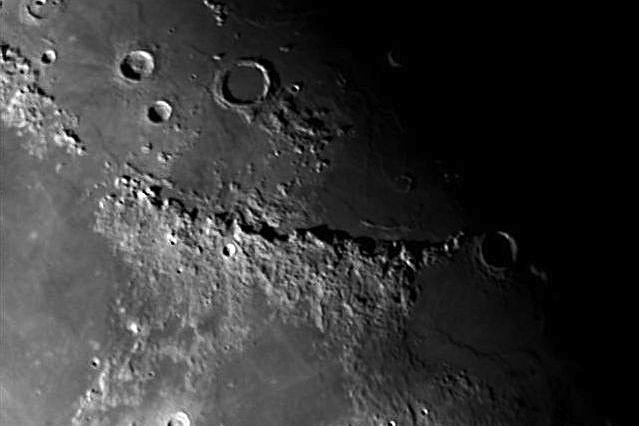 Montes Appeninus - Yes, there are mountains on the Moon! One of the ranges of mountains on the Moon's surface is the one which appears in this photo: Montes Apenninus. The dimly-lit crater to the west of these mountains (to the right in the photo) is Eratosthenes.